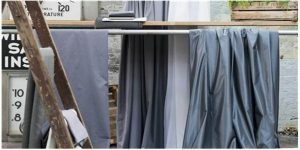 Choosing curtains can be daunting given the huge range of fabrics available, together with the vast choice of tracks and fittings. We can give you knowledgeable support and our experience can help with colour co-ordination, accessorising and design. We take a pride in our work and provide a personal service giving time and attention to detail. Whatever your style, whatever your taste, and whichever room you have in mind, EMILYN has what it takes to turn your ideas into reality.